There are Ballyhenrys in half a dozen Irish counties. 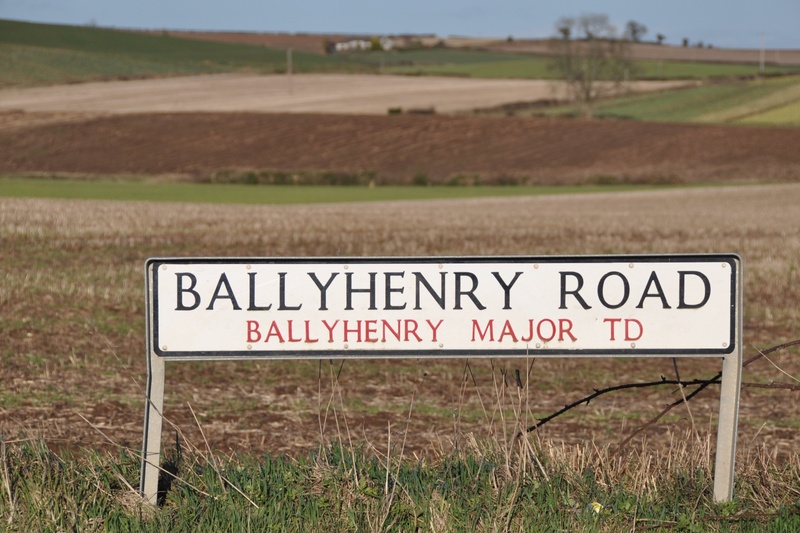 Today’s post looks at two of them near Comber, County Down: Ballyhenry Major and Ballyhenry Minor. Both Henrys lie on south-facing slopes, downhill from Scrabo. You can see the location better in this wider shot. According to PLACENAMESNI, the name Henry was brought to this area by the Anglo-Normans, and Ballyhenry Major means “Henry’s big townland” and in Irish would be Baile Héinrí Mór. 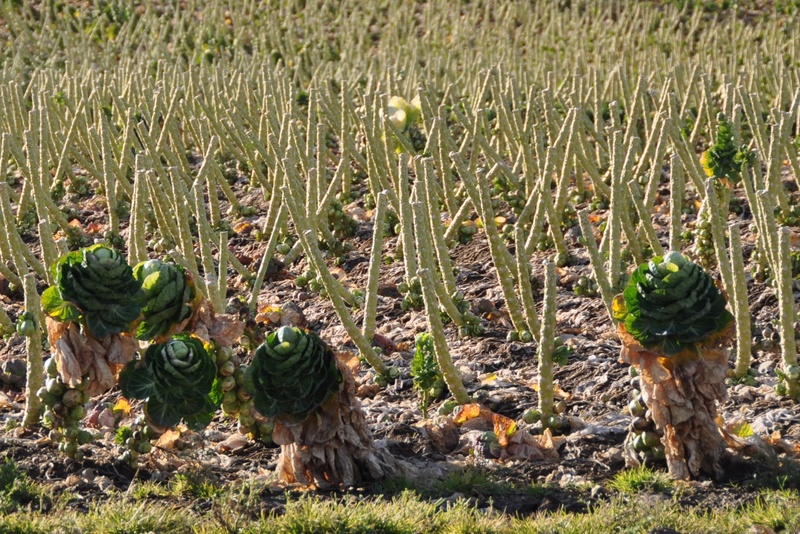 I hope the eponymous Henry likes brussels sprouts, because someone has been harvesting a lot of them in his townland. 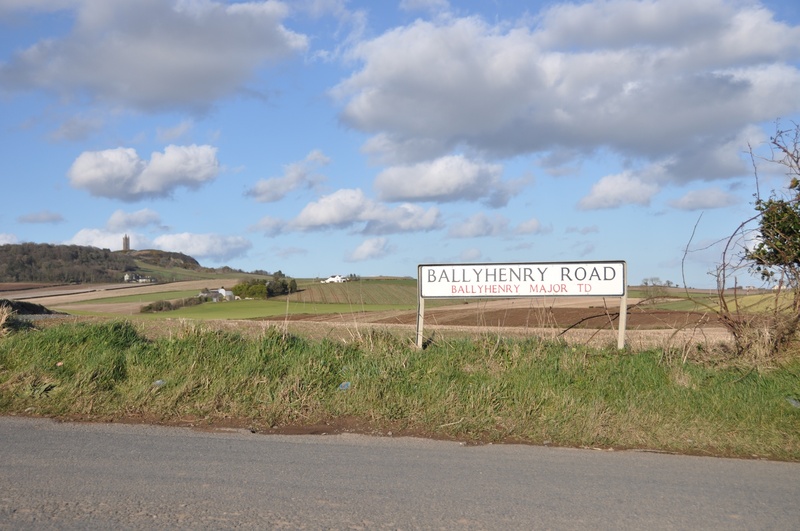 As you go downhill towards Strangford Lough, the townland changes from Ballyhenry Major to Ballyhenry Minor. 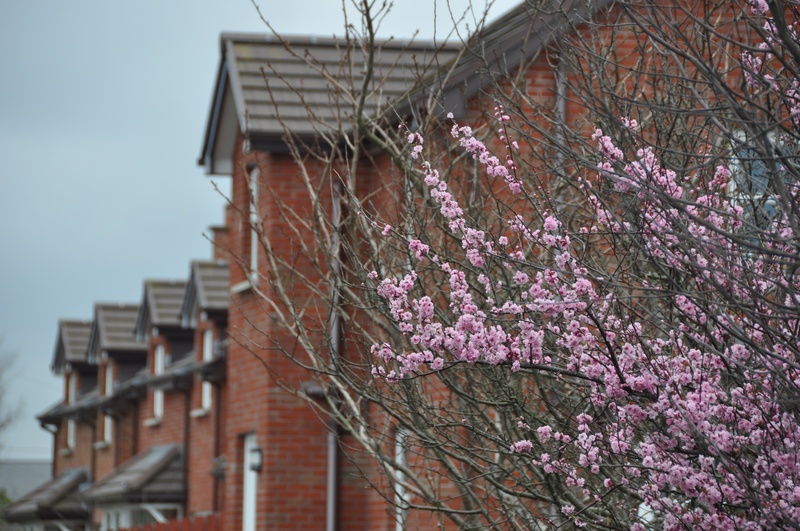 Farmland gives way to the Dermott and Moorfield housing developments on the edge of Comber, where residents are still making good use of the fertile soil. 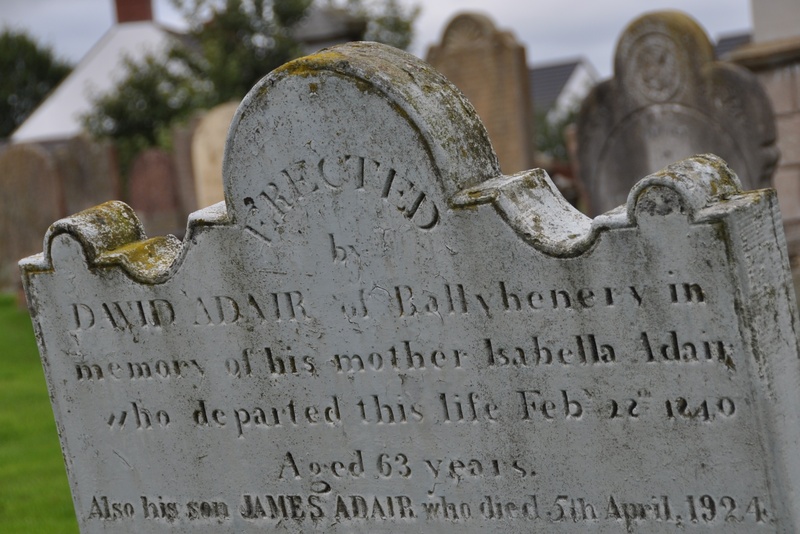 Townland names are often recorded on 18th and 19th century gravestones, like this one in Comber churchyard. Which townlands border Ballyhenry Major? Mount Alexander, Ballyrickard, Castlebeg, Unicarval, Ballyalton, Killynether, and Ballyhenry Minor. Which townlands border Ballyhenry Minor? Mount Alexander, Ballyhenry Major, Ballyrickard, Glass Moss, Cherryvalley and Town Parks of Comber. And finally, click here to see a map of Ballyhenry Major and to read about the townland’s name on my usual source – PLACENAMESNI.ORG. OR Click here for Ballyhenry Minor. Love the pink blossoms and brussels sprouts. We need more of both here! I just noticed your comment, many weeks later. Thank you for appreciating the blossoms (I agree, they are lovely) and the sprouts (I’m a sprout-hater, but my husband likes them).